A financial advisor since 1980, Greg continues to provide expert advice to his clients. A lifelong Erie resident, Greg lives in Fairview, PA with his wife Sue. Together they have three children and five grandchildren. Greg is an accomplished musician (piano & trombone) and regularly performs at his church home, First Alliance Church in Erie, PA where he also serves as Choir Director. 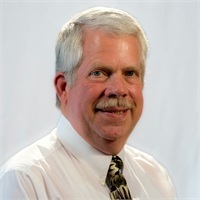 He also performs with many local groups such as the Misery Bay Big Band, the Dixie Doodlers and the Northwest Concert Band of Edinboro, PA.
Greg participates as a PIAA Official, officiating football games and judging swimming/diving competitions, and track & field. He is also an approved instructor for the Pennsylvania Insurance for Continuing Education classes for Pennsylvania insurance professional.